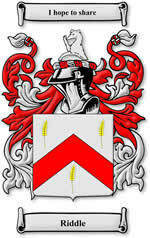 OurLife.us is a family website about the McMullen Family from Northern Ireland that settled in New York and Nevada. This living site is dedicated to the many members of past generations who gave us not only the families of our heritage, but the attributes that mark it. They were the adventurers, the risk takers, the pilgrims, the preachers, the explorers, the pioneers, the builders, the soldiers, the farmers, the railroad workers, the miners, and heroes, the models and examples, who make our heritage full of remarkable history. Not only did they leave their homelands and followed a dream, but in many cases they fulfilled those dreams and much more, leaving us a legacy to make our own path through. They brought with them their ancestors, so when you read about one person, there are many behind that one life that was enriched immeasurably by those who came before. As you read about each of these lives, you will find that each life brings something unique to the family tapestry. We invite you to look deeply, as this is as much your story as it is ours. 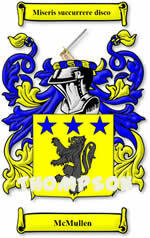 The McMullen family came from County Monaghan and Armagh to New York in 1845, 1847 and 1852 from Liverpool to New York. They settled in Argyle, New York and were part of the South Argyle United Presbyterian Church settlement. The South Argyle United Presbyterian Church was started by a gift of 500 acres in Argyle, New York from the King of England and a Scottish Sect of Presbyterians and the General Associate Synod of Scotland and the Presbyterian Church -http://argyllpresbytery.org.uk. around 1782. 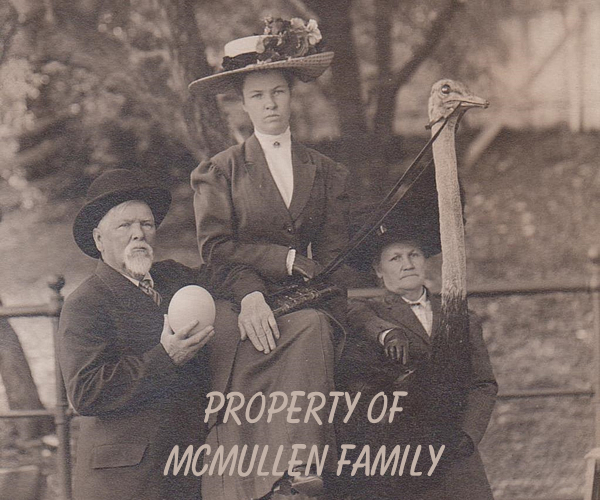 We have traced our heritage of McMullen's to also include Riddle/Riddell, Williamson and Wilson from Ireland. The name of McMullen or MacMullen is a combination of the word Mac., meaning "Son of", and Mullen, which is believed by some etymologists to be derived from the gaelic Mullin meaning "Miller", others states however, that Mullen is derived from the Celtic Millan, meaning "The Bald". One writer adds that the name of MacMullen and MacMillan are the same, the former being the Irish spelling of the name and the latter the Scottish. However this may be the name is found in the ancient Scottish and Irish and the early American records, in the various forms of MacMhaolian, MacMillion, MacMillin, MacMillen, MacMullan, MacMullin and MacMullen, all of which also appear with the prefix Mac shortened to Mc. The spelling given at the beginning of this article and several of the others are frequently found in America in modern times. The Progenitor of the Irish line of the family was Connor, Son of Dermond Fionn, the thirteen Christian King of Connaught, whose brothers, Muirgheas of Murias died in the year 815 A.D. These brothers were fourteenth in descent from Brian, elder brother of famous Niall Mar, from whom were descended the O'Neilis, Monarch of Ireland, Kings of Ulster, and Princes of Tyrone. Brian was the father of Duach Galach, the first Christian King of Connaught and progenitor of the O'Connors, King of the Place, Connor, Son of Dermond Fionn was the father in the early ninth century A.D. of a son named Donall, who was the father of a son named Maolan. It was from this son that the O'Mhaolians or O'Maolans took their surname, the name later became Mullen or MacMullen. our Lord be with you to answer every prayer. And late summer find you standing in fields of plenty. May the rain fall soft upon your fields. 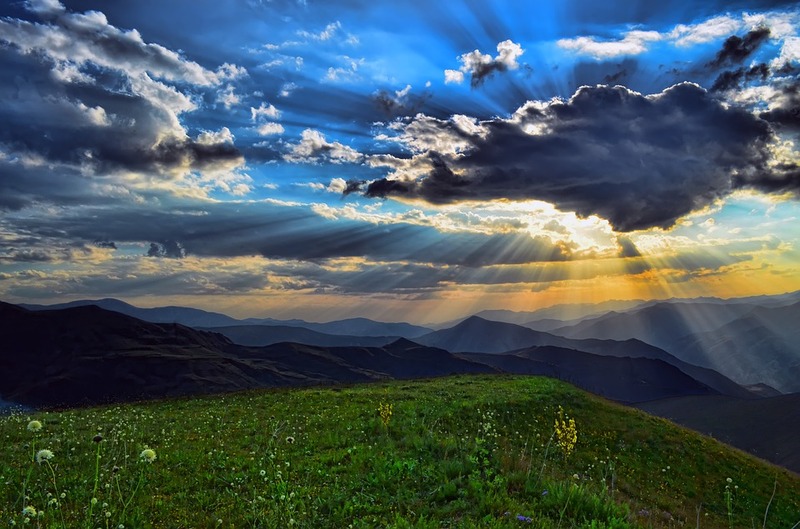 OurLife.US is the genealogy placeholder for all surnames and relatives associated with the McMullen family. Although the site started out as a McMullen Family repository, it has grown to include family history on many family surnames such as the Blish, Bostwick, Carpenter, Domery, Elmore, Fuller, Gifford, Griswold, Harton, Haffey, Hall, Hopkins, Howland, Kilgore, Murdock, Riddell/Riddle, Taber, Scolari, Scott, Plaza, Williamson, Wilson, Whitney, Wing and many others. The website is a comprehensive undertaking to provide as much accurate information as possible regarding our family tree. Membership is open to verified family members interested in tracing their ancestry or just learning more about the surname, its history and varied spellings down through the years. The reason we are charging for memberships is to defray the costs associated with domain names, web hosting, incremental increases in storage space, offsite backups, maintenance and upkeep and last but certainly not least, research. Guest access to OurLife.us website includes all searchable family records and historical documents at your disposal that have been gathered to date, catalogued and archived. Access to all archival material from census reports, vital records, military records, wills, articles, photographs, historical documents and other resources dating back to the 1840s. Access to membership site for open dialogues, forums and FAQs (Frequently Asked Questions). Perhaps most importantly an opportunity for you to share with any other family members what you have discovered about your ancestors by posting this information, including COPIES of photographs, videos, audio and documents with help from the site owners, administrators and contributers. All copyright owners retain the rights to their materials. 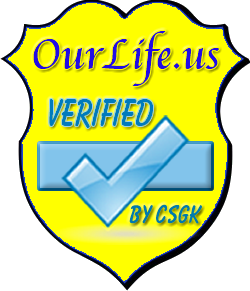 Potential members must verify their identity and relationship connection to the families associated with OurLife.us before access is granted. 2. Downloading any file, photo, document or other item from the site is strictly prohibited unless written permission is provided by the site owner(s) and copyright owners. You may not, except with our express written permission, distribute or commercially exploit the content. Nor may you transmit it or store it in any other website or other form of electronic retrieval system. 3. Many files come from third parties with restrictions and copyrights and the rules for handling these files are to be explicitly followed with no exceptions. Therefore, they cannot be posted or shared to any third party Internet sites or genealogy sites. 4. Many files have been paid for by considerable personal funds for locating, authorizing, identification and digitization of the resources. All copyrights and personal ownership are to be strictly followed to prevent misuse. No rights are explicitly granted to any materials, documents or copyright material for personal, professional or third party use. 5. Considerable fees paid for this site go toward ongoing maintenance, support and for research. 6. No materials from this website are allowed on third party services such as Ancestry.com, FamilySearch.org, Rootsweb or any OTHER third party services. 7. Unauthorized attempts to upload information and/or change information on any OurLife Family History files without express written permission is strictly prohibited and will be subject to prosecution under the Computer Fraud and Abuse Act of 1986 and Title 18 U.S.C. Sec.1001 and 1030. It will be greatly appreciated!